Chris Van Dusen is the creator of many outstanding books for children, including Randy Riley’s Really Big Hit, King Hugo’s Huge Ego, The Circus Ship, and many others. His illustrations that have been published in magazines and books and have been printed on T-shirts and greeting cards. He lives in Maine with his wife, two sons and, naturally, a dog. "Blast!" 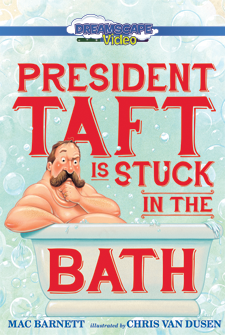 said Taft, "This could be bad."